So, something amazing is happening on Facebook right now. 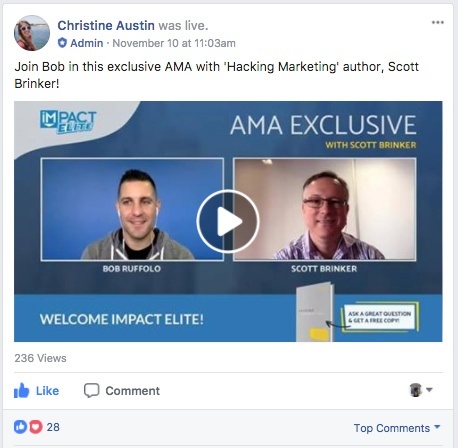 This past summer, we created a buzzing marketing community called IMPACT Elite on Facebook, and the conversations, connections, and inspiration coming out of it have already surpassed our greatest expectations. From aspiring marketing leaders to proven experts, over 3000 of the sharpest minds in inbound are asking questions, sharing ideas, and getting inspired there -- and I want you to be a part of it. Join over 3000 of the sharpest minds in marketing where they’re hanging out. IMPACT Elite is just that -- elite. We hate spam more than you do, so we screen and approve every member individually to ensure the conversation is of real value. 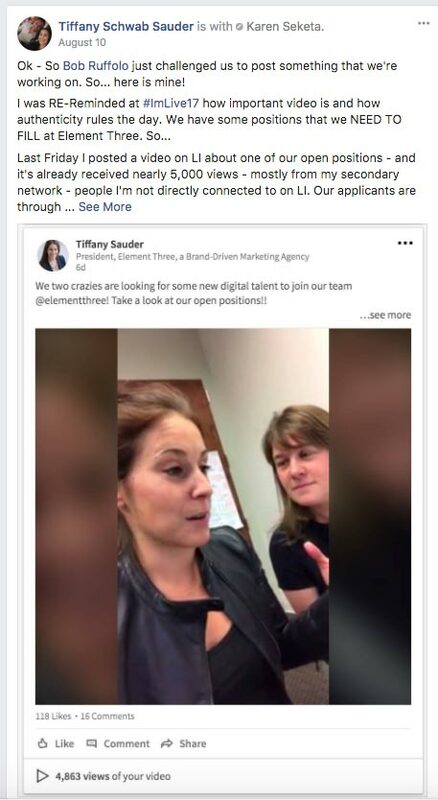 It takes a unique and awesome person to appreciate good (or terrible) marketing jokes. In Elite, your fellow marketing and business geeks are laughing over common pain points, mistakes, and the latest campaigns from big brands. Take a little mental break from your day and see what everyone’s smiling about. There’s Exclusive Content & Contests. What’s the fun of being Elite without perks? 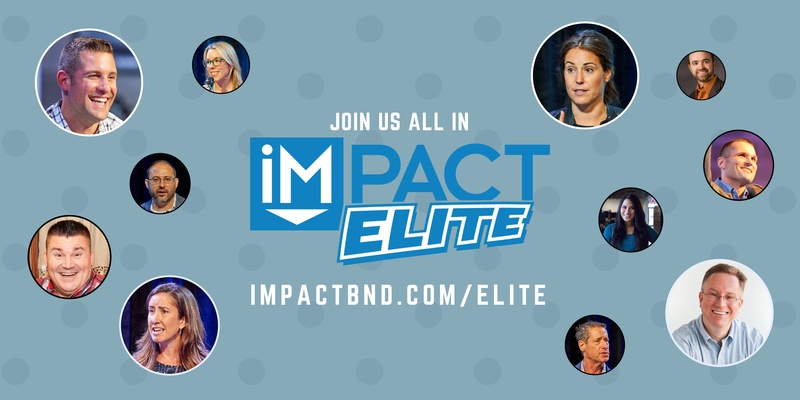 Members of Elite are IMPACT’s nearest and dearest, so you’ll get access to exclusive content and giveaways for prizes like event tickets, t-shirts, and more. You’ll even get early access to some of our bigger projects still in the works. You’ll Connect with Movers & Shakers. Probably the thing I’m most excited about is the game-changing inspiration coming out of Elite. 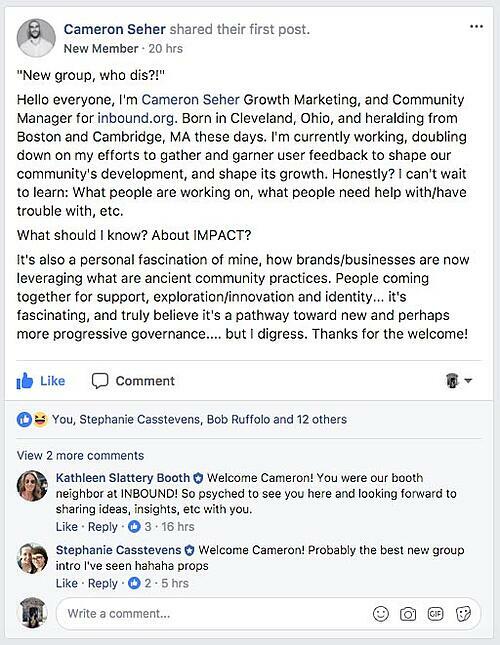 Between the personal stories, advice, and new discussion topics being brought up each week, members were helping each other shift their perspectives on marketing and growing their businesses. I couldn’t be more pumped by what’s going on there. In fact, I’m heading back to IMPACT Elite right now to see what’s new. Fortune Names IMPACT One of the Best SMBs to Work For. Here’s the Story. IMPACT is Now A HubSpot Diamond Partner Agency!